Part I: Maths, English, Reasoning: How to approach? State bank of India (SBI) recently notified vacancies in specialist officer cadre. Some readers had been requesting the question papers. So here it is. DONOT waste time in GA/GK, Banking, current affairs and Marketing = because they’re not part of the exam. Part I Maths, reasoning, English score not counted in merit list, but you need to cross minimum cutoff. Part II Professional knowledge (PK) score counted in merit list. Its marks not counting in final merit list. But you’ve to cross cutoffs, otherwise your part II will not be evaluated. In other words, this is same like UPSC’s compulsory English language paper in Mains exam). Since its marks are not counted in merit list. You only need to cross the cutoff. Therefore, I don’t recommend separate books on maths/reasoning/English for this exam. You don’t need to “master” these topics. Just practice enough questions so you can tick 15-20 MCQs in each section and move on to part II (professional knowledge). For this, solve previous PO papers. [You don’t need ‘special’ papers for specialist officer- the routine PO papers also work fine- as far as maths, english, reasoning is concerned. Besides, whatever “mock” tests/ books are in the market, their MCQs are usually jugaad-lifted from previous PO exam papers. These questions usually come in a set of 3-5 MCQs =12-20 MCQs are done. BODMAS, % profit loss, SI-CI. within geometry- only area, perimeter of square, rectangle, circle. (At most volume of sphere, cube, cone, cylinder and cuboid. within data interpretation (DI), go for the “Table/piechart” type MCQs- mainly those requiring multiplication, addition or subtraction. IGNORE: Trigonometry, quadratic equations, logarithms, coordinate geometry. Because they don’t ask it in SBI. So don’t waste time in those topics. Reading comprehension (don’t spent too much time on a single MCQ, if you can solve move to the next). Fill in the blanks and vocabulary type. If you master above areas, then crossing the cutoffs in Part 1 should not pose big challenge. In the real-exam, DONOT waste time in solving 1,2,4… all MCQs in a linear fashion. I can’t predict cutoffs. But to be on safe side, at least 15 should be ticked in each section accurately before moving to next section. If time permits even after doing everything else, then tick more in the second round. In Bank exams, often sincere players fail, because they spent too much time in the English portion. Since English is relatively easy- so these people try to solve all English MCQs, before moving to next section. Avoid this stupid mistake. Its marks counted in final merit list. (Along with interview marks). Therefore, you must give highest priority to this area. Disha says programming, Kiran says “C programming”. So first dig those common topics from whatever college textbooks/GATE guidebooks you’ve.Or through internet. 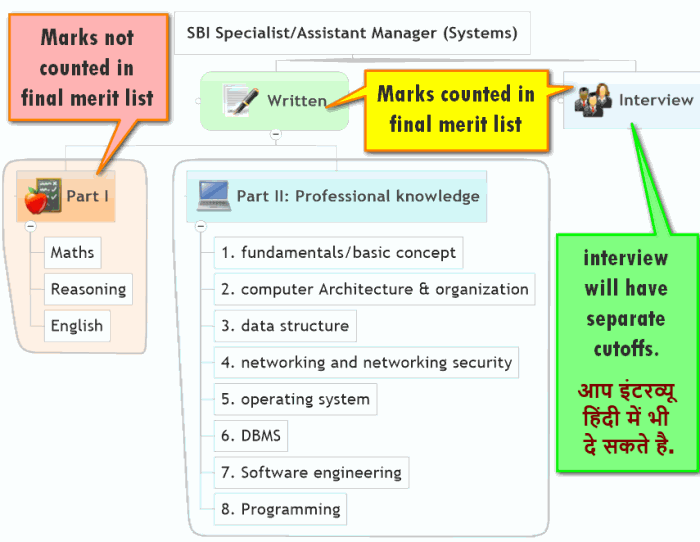 I’ve also included the previous papers of SBI PO exam (professional knowledge section) below. Use them to get a better idea on what areas are to be covered- what is the depth and difficultly level of the papers. Beyond that, I cannot say much because I’m a Pharmacist and not an IT graduate. If any senior player/ maestro wants to share more wisdom about the PK section- please post it under the comments. Which of the following is not a type of SQL statement? Which of the following term is related to the stack? Which of the following is a browser? ____ is the situation in which a process is waiting on another process, which is also waiting on another process which is waiting on the first process. None of the processes involved in this circular wait are making progress. Which of the following is a type of translator? The OSI model consists of ___layers. Decryption & Encryption of data are the responsibility of the ___ layer. LANs can be connected by devices called ____ which operate in the data link layer? In a ____ topology, if there are n devices in a network, each device has n-1 ports for cable. OLAP applications are widely used by ____ and it uses ____ Schema. Arrange the following in increasing order of their size. ODBC is based on ___. In relational database row and column is called as ____and ____respectively. Parent-Child relationship between the tables that connect them. Many to many relationship between the tables that connect them. Network model between the tables that connect them. Which of the following is record based logical model? Which of the following virus overtake computer system when it boots and destroy in-formation? ____ is person who has the central control over both data and application programs. In a relational database, this is a data structure that organizes the information about a single topic into row and columns. Which statements about the Java language are true? Java is only a procedural language. Java is only an Object-Oriented. In SQL ,which command(s) is(are) used to remove rows from a table. To add a column/integrity constraint to a table. What is the abbreviation is used for a software package that permits the user to create , retrieve and maintain records in a database? Print server uses___ which is a buffler that holds before it is send to the printer. Which of the following identifies specific web page and its computer on the web page? _____ is the computer to computer exchange of routine business data between trading partners in standard data formats. Communication handler is basically an ____ 16 bit micro controller? Which uses a Pre-Shared Key that is more than 7 and less than 64 characters in length? Ping command is used for what purpose? Programs in which of the following memories can’t be erased ? Which are not used in case of applet? Which of the following is not a type of database? Which of the following is used with database? 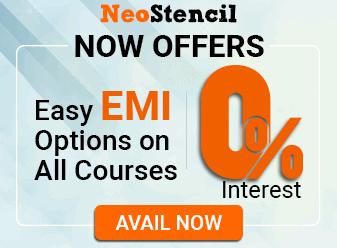 To modify existing rows of the table ____ statement is used. At ___ layer, TCP/IP defines two protocols :Transmission Control Protocol (TCP) and User Datagram Protocol(UDP). The ___ layer is the layer closest to transmission medium. Which of the following TCP/ IP protocol is used for transferring electronic mail messages from one machine to another? Which IEEE Standards is usz for Wi/Fi systems? _____ is the continuous ability to send and receive data between interconnected networks. With an IP address of 100,you currently have 80 subnets.What subnet mask should you use to maximize the number of available hosts? A ___ ‘s main purpose is to prohibit unauthorized access to your computer via the Internet. If any senior player/ maestro wants to share wisdom- please post it under the comments. Hello sir I am preparing for assist. Manager post. Please send me material imp. For this exam. Hi, If anyone have got previous Exam papers for SBI Assistant Manager System Exam, please send me the same at [email protected]. Hello..I would be glad if someone forwards me the previous years papers(of all sections) or any other study material for SBI Assistant Manager(System)..Kindly need help. Pls forward to [email protected]. Thank you. Hi, Could you please send the SBI specialist Officers Previous Exam papers ? Thanks in advance. hi,request you to send me the previous year question papers at ‘[email protected]’. Is there any negative mark in wrong answer? And could you please provide me the link or any source from where i can get ‘professional knowledge’ contents. Hi, could you send me all previous years question papers for SBI so it officer scale 1? ?